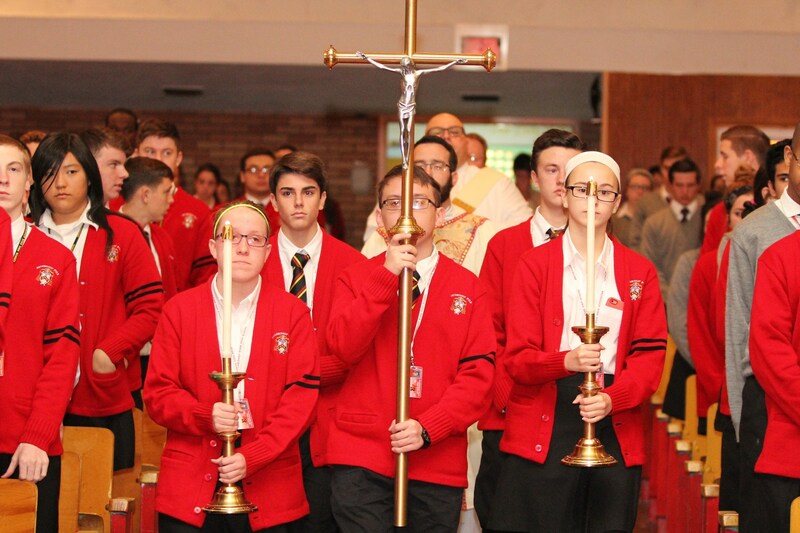 At Archbishop Ryan High School, we fulfill our mission by providing our students with many opportunities to encounter Jesus Christ in Word, Sacrament, and activities designed to nourish their relationship with the Lord. As a Catholic Christian community, Archbishop Ryan High School is a source through which each member may deepen his or her personal relationship with God. The Office of School Ministry is responsible for providing opportunities for the students, faculty, and staff to grow and mature in the Catholic Faith. Through the Ministry Office, the Archbishop Ryan Community celebrates our Catholic heritage and identity daily. Students, as well as faculty and staff, are encouraged to participate in our faith experience through the sacraments especially the Eucharist and Reconciliation, prayer, reflection, and service. “Put on Christ!” in your life, and you will find a friend in whom you can always trust; “put on Christ” and you will see the wings of hope spreading and letting you journey with joy towards the future; “put on Christ” and your life will be full of his love; it will be a fruitful life."